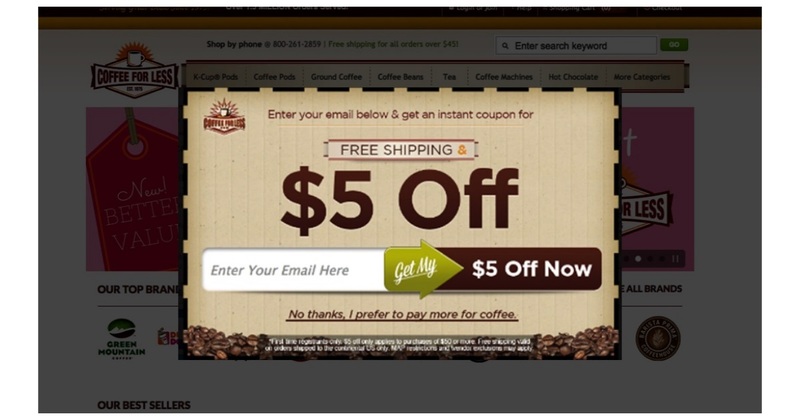 Web designers can spend hours poring over their CTA (call to action) buttons. Hours spent sweating through every little tweak of a CTA’s size, position and colour to eventually create the most clickable element of the page. But once you’ve got your prospects looking, it’s what’s inside the box that counts. We don’t all have the time or the means to put our CTAs through several rounds of rigorous experimentation. So if you’re not ready to start split testing (or you just need a solid foundation to get you going) it helps to have a few general pointers. These tips might not lead you to a killer CTA on the first try. But they will help you to understand what works and what doesn’t – and they could help you create something that can beat your current control. The main purpose of a call to action (CTA) is to call the reader to some kind of action. That may sound counter-intuitive – but stay with me. For action, we need verbs. And if we want to keep resistance to a minimum (and we do) we need verbs that are short and simple. Don’t invite your prospects to “Submit”, “Register” or “Continue”. These verbs are robotic and stiff, and their stilted formality is a turn-off for the average person. Instead, encourage your visitors to Get, Try or Start – everyday verbs that real people would actually use to generate an action from others. 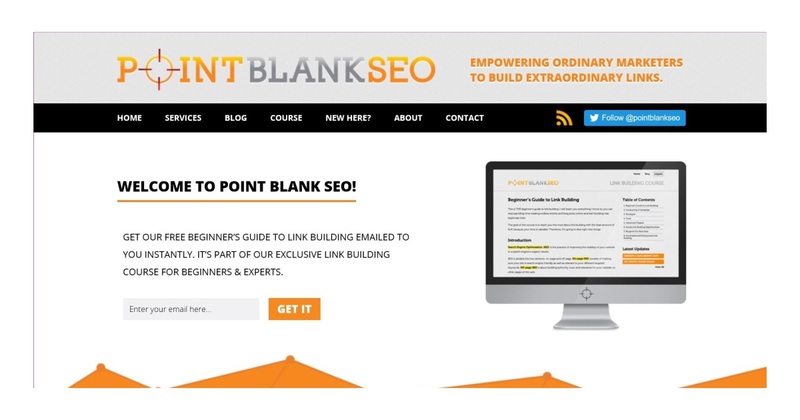 Point Blank SEO‘s offer of a free guide to link building is a perfect example of using CTA text that’s simple, real and direct. Two words, two syllables, five letters: GET IT. If you want to stand out against the mess of empty promises and overdriven hyperbole that’s littered around the internet, put something concrete in your offer. Your visitors know that you can’t argue your way around a number. They know you’re more accountable when you make a specific claim, and that gives your CTA credibility. Realistically, you wouldn’t dare to promise every visitor a 20% boost in sales, traffic or efficiency: there are just too many variables to make a claim like that stand up to scrutiny. But there are still plenty of ways to include honest numbers to add credibility and value. You might invite your prospects to “Get your free 50-page white paper” or to “Join more than 40,000 subscribers”. Compare these solid, numeric offers with “Get your free white paper” and “Join our other subscribers” – the difference in perceived value should be clear. 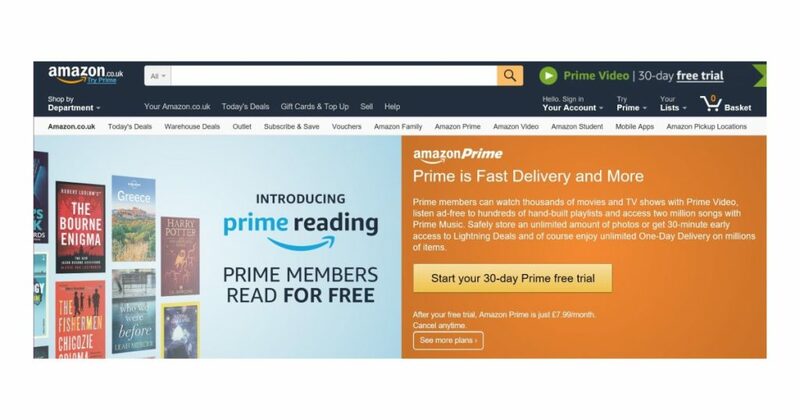 Just look at Amazon Prime‘s CTA. They didn’t specify the length of their free trial by accident. They did it because a visitor who knows the definite value of the offer before they click can make their decision to commit at an earlier stage – and also because “a month of free TV” is a lot more enticing than “some free TV”. Numbers are great. But when used correctly, emotion and personality can be just as powerful. People like people. And you want people to like your business. The solution? Make your business more like a person. Instead of a “Book a consultation” button, try the more casual and reassuring “Talk to us”. 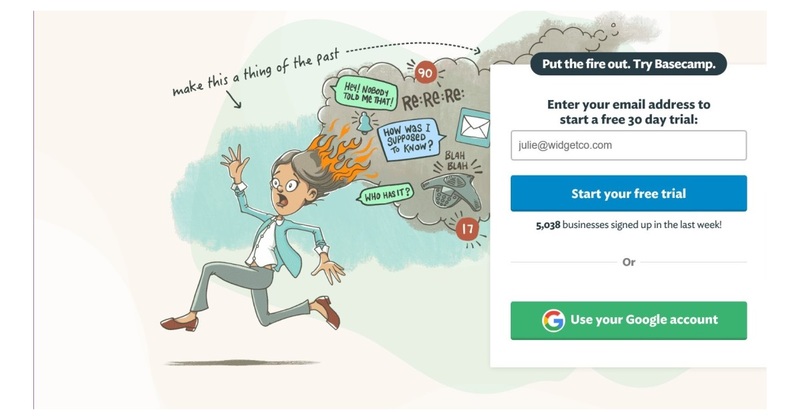 Rather than asking your visitors to “Begin a free trial”, get them to “Try us for free”. But remember to stay sensible. 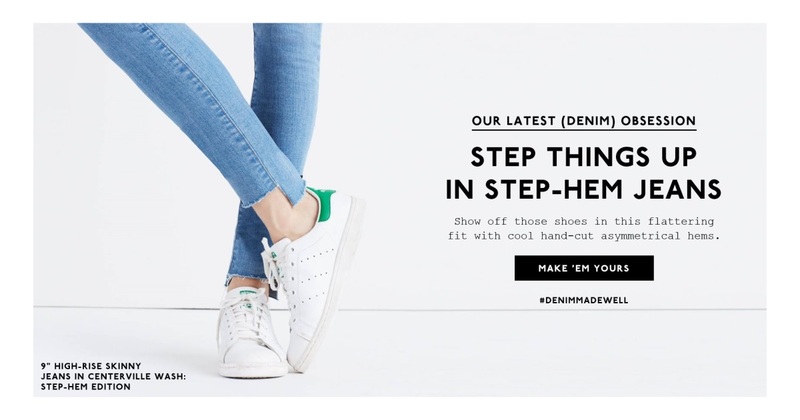 While Madewell‘s “Make ‘Em Yours” is a great example of a cute and personable CTA for a fashion retailer, it’s probably not the sort of tone you should aim for if you need to sell dialysis machines or coffins. Every good copywriting guide out there starts by telling you to write in the second person (“you”). It’s useful advice, and it applies in a huge number of cases. But with CTAs, choosing the right personal pronoun isn’t obvious. According to Unbounce’s split testing, a CTA that uses “your” results in nearly 25% fewer conversions than one that uses “my”. 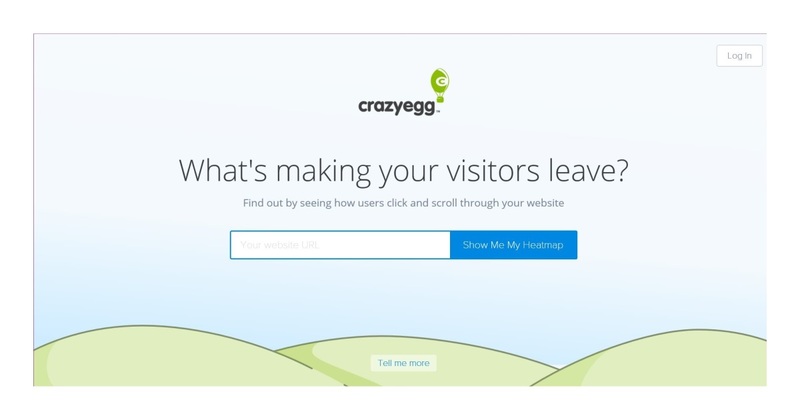 In another test, they found that using “my” in the CTA left them with a 90% increase in click-through rates. So why do so many landing pages rely exclusively on the second person throughout their sales pitch, only to switch to the first person at the critical moment? It could be because the first person is far less commanding. In the main body of a landing page’s text, the use of the second person is descriptive, rather than prescriptive. The bulk of a good landing page is about the benefits you’ll gain or what you can achieve – it doesn’t tell you what to do. Once the visitor reads down to the CTA, the next step is up to them. They’ve been passively reading and absorbing information that’s been fed to them throughout the pitch, and now there’s a switch where they’re suddenly called to action. When a landing page uses the second person during this switch, the reader’s mind can naturally start to resist the sudden commandment. “Start your free trial” is a little bit oppressive. “Start my free trial” is an Inception-like implant into the mind of the reader. The silent reading voice in their head has already uttered the words, and those words have a hypnotic effect. It feels a bit like you’ve actually said the words of your own volition – just as you would if you’d made the decision by yourself. This self-hypnosis is even more apparent when you see landing pages with a cheeky dual-option CTA. You know the ones we’re talking about. They usually appear in a pop-up window as you try to make an escape back to Google. The pop-up states the offer, and presents you with two options – usually something like “Yes, I want 50% off my subscription” versus “No, I don’t like saving money”. In these cases, the self-hypnotic effect isn’t subtle. If you want to leave, you’ll need to click a button that asserts a position you don’t agree with. That creates a mismatch between what you want (to retreat to Google) and what the pop-up says you want (to avoid saving money). Of course, it’s an attempt at persuasion that’s completely transparent to all of us. But if the cheeky dual-option CTA can make the average person pause for a moment, it might be enough to sway someone who was already on the fence to reconsider their choice. One other way to sway visitors who are close to the tipping point is by propping up your CTA with a few last-minute bits of information. Basecamp’s CTA is a great example of micro copy that combines social proof with numerical credibility – exactly 5,038 businesses have signed up in the last week, and they want to make sure you know about it at the crucial moment of decision. There are hundreds of different ways you can tweak your CTA – both verbally and graphically. And if you want to be sure you’re presenting your offer in the most successful way, you’ll need countless rounds of testing and adjusting to find the right balance of factors for your particular audience, product and website design. Stick to simple, natural words. Avoid ugly words like “register” and “submit”, and replace them with colloquial words like “start” and “try”. Keep your offers specific and concrete. When it makes sense, include honest numbers. Be personable and reassuring. Don’t be afraid to sacrifice your so-called “professional tone” if it means a measurable improvement in clicks. Choose your perspective carefully. 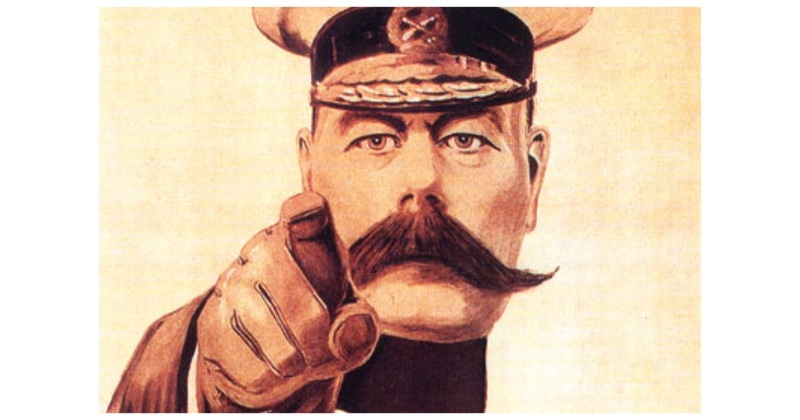 Sometimes a first-person CTA works best – but not always. Test both perspectives and let the results decide. Take advantage of the last few moments. Whether your micro copy overcomes their objections or adds social proof, make sure your sales pitch has the last word.